EMF and Grounding are very important in today’s world where we rely upon technological devices more and more. We are becoming more and more exposed to EMF each day and most of us are not even aware of it, especially our kids. I have found the best and most simple EMF product at the most affordable price through GREEN SMOOTHIE GIRL, she is one of our favorite health ambassadors out there. 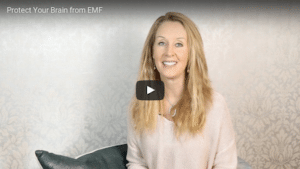 Click Here to learn more about EMF from the GREEN SMOOTHIE GIRL HERSELF.